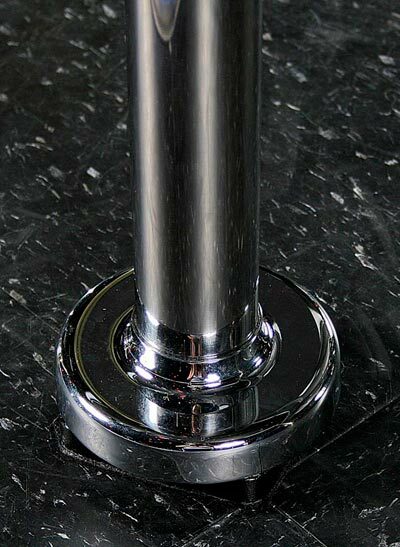 stripper pole | dance pole - spinning - 2 inch 9-12 ft. 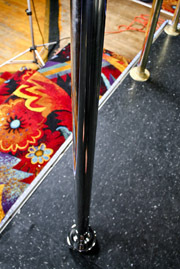 This PoleDanzer Stripper Pole / Dance Pole is permanently attached to the floor and ceiling, and easy to set up. You will spin like a pro with a little practice. Another PoleDanzer professional quality stripper pole! Hand-crafted with attention to detail, with a lifetime warranty on manufacturing defects and free shipping. Fill in our easy order form with the measurement (Examples: 8ft 6.5in or 102.5in or 260.4cm ) from floor to ceiling where you want your PoleDanzer Stripper Pole installed. Your pole will arrive with easy-to-follow installation instructions - and we're only a phone call away if you have a question.